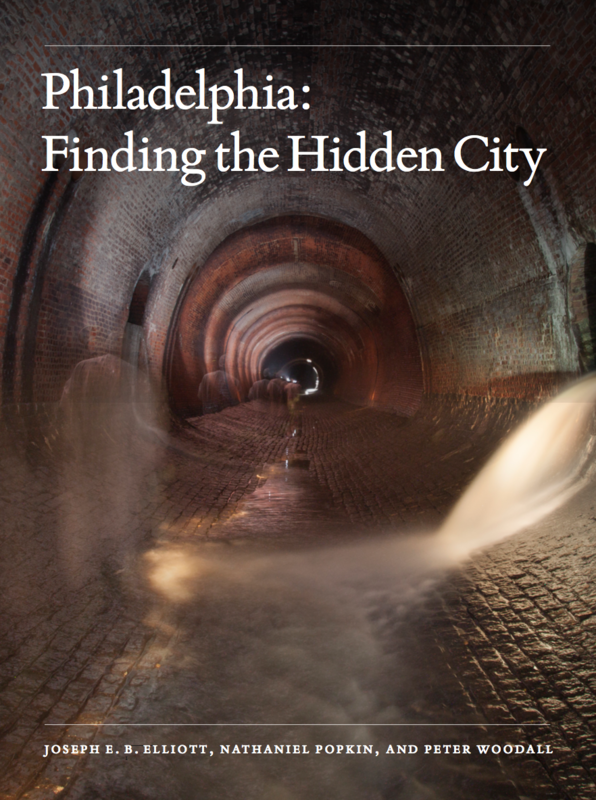 Philadelphia: Finding the Hidden City is a journey to the essence of one America’s greatest and yet least understood cities, Philadelphia, to reveal the physical and cultural intricacies of place, from the intimate to the monumental. Written by two expert urban observers, Nathaniel Popkin and Peter Woodall, and photographed by one of America’s most lauded architectural photographers, Joseph E.B. Elliott, the book marks out the elements of Philadelphia’s hiddenness through its vivid layers and living ruins. Quite unlike books of urban loss that lament or celebrate decline, Finding the Hidden City connects Philadelphia’s particularly accretive form to its idiosyncratic history, culture, and people. By laying out these connections the authors develop an alternative theory of American urbanism to contrast with the better-understood narratives of New York and Los Angeles. The journey here is as much visual as it is literary; Joseph Elliott’s striking photographs reveal the elemental beauty of Philadelphia never before seen. Listen to Nathaniel Popkin, Peter Woodall, and Joseph E.B. Elliott on the Radio Times radio program talking about Finding the Hidden City. Listen to Nathaniel Popkin on the Skylines podcast talking about Finding the Hidden City. Listen to Nathaniel Popkin on the Give and Take podcast talking about Finding the Hidden City. Next Next book: Who Will Speak for America?